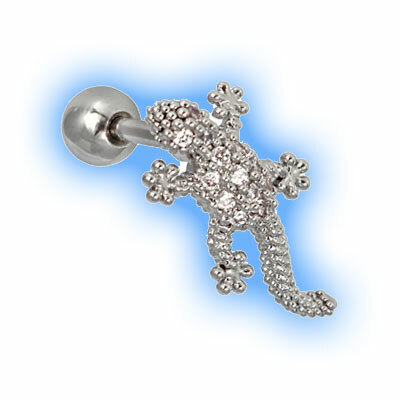 If you are reading this blog entry I guess that you have either had or are thinking of having a tragus piercing, the tragus sticks out just in front of the ear canal. 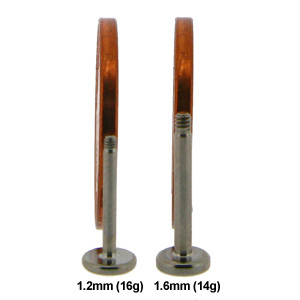 Tragus piercings are usually between 6mm and 10mm in length, this measurement is taken front to back of the piercing so when measuring jewellery such as a labret stud or barbell the measurement does not include and thread, balls or attachments and in the case of a ring the diameter measurement is the internal measurement. Obviously these measurements will vary from piercing to piercing and will depend on the physical anatomy of the ear as well as the placement of the perforation and the jewellery that is fitted when the ear is pierced. If you are unsure you should always check with a piercer. If you have a piece of jewelry that fits comfortable and is not too long or too tight you can measure it and use that as a guide to help you buy your next piece. 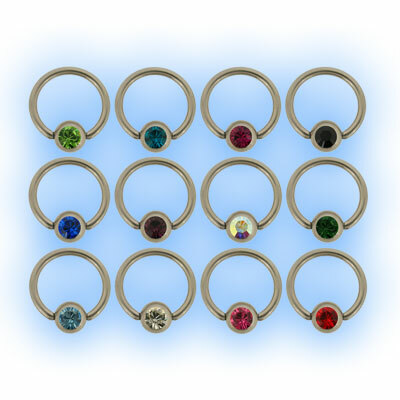 Ball Closure Rings or Captive Bead Rings as they are sometimes known are very versatile pieces of jewellery and can be used in many different piercings, they are very common in ear piercings such as tragus and cartilage piercings. They consist of a ring and a ball, the ball can be plain or jewelled and it has 2 dimples either side of it which are clipped into the ring. To remove the ball simply apply some pressure to it and it will pop out, then to put it back in line up one side of the ball first (pop the ring into the dimple), then apply pressure to push the other side in. This can be tricky to do and especially to insert it into your own tragus piercing so it is a good idea to practise this a few times with just the jewellery and not trying to put it into a piercing until you get the hang of it, or ask a friend (or of course a piercer) to help. You can buy pliers to help with opening the ring if you are really struggling. 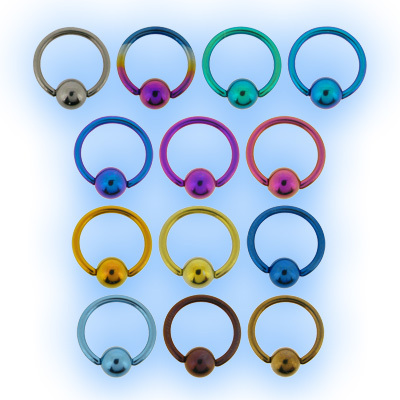 These Rings look really effective in tragus piercings and due to the many colours available they can create lots of different looks. They are available in Titanium (with a choice of 13 different colours), Steel, Gold Plated Steel and Black PVD with either a plain of jewelled ball. Our full range of BCR jewellery is here. 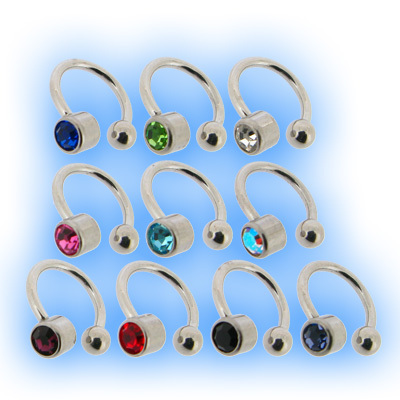 Circular Barbells, or Horseshoe Rings as they are sometimes called are another popular choice in tragus piercings. Again they are available in Titanium, Steel, Gold Plate and Black PVD, they are also available in Bioplast which is a very popular choice. You can design your own CBB on our website so you can choose the ring material and size and then choose the attachments for each end seperately so you can have plain balls, jewelled balls, cones, hearts, stars... the combinations are endless so you really can create a one of customised piece of jewellery that no one else will have. 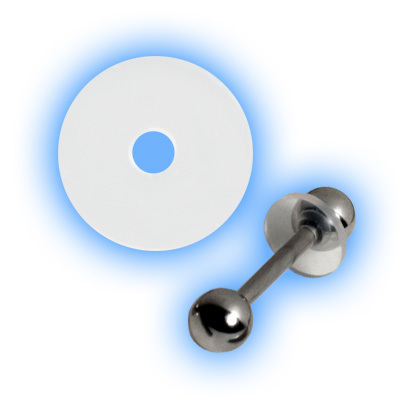 You can also of course have a matching Circular Barbell with both ends and the bar the same colour - you don't have to mix and match, that is up to you. Of course we have some ready to purchase ones here too. 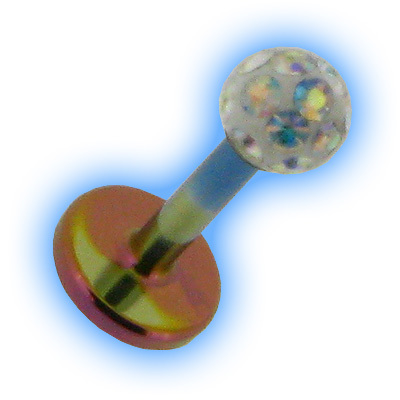 Labret studs are a great choice for tragus piercings because of the smooth back disc rather than a ball that screws on the back which can sometimes be fiddly. 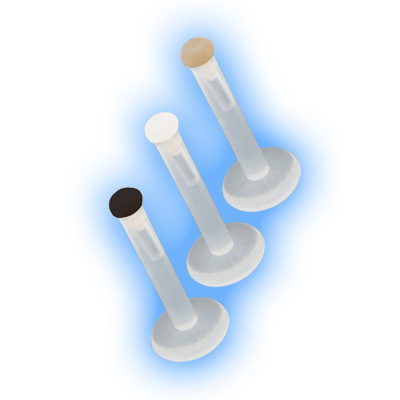 The stud is inserted from the back of the piercing and then the attachment simply screws (or pushes if Bioflex / Bioplast push fit) into place. 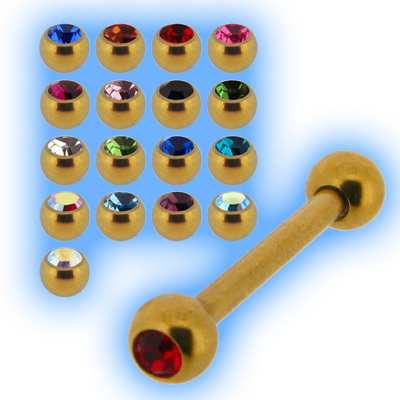 Again there is a huge choice of materials and types of stud available with sparkly balls, hearts and cones to choose from here but if you can't find exactly what you are looking for try our Build your own Labret stud and have some fun creating your own design which we will assemble here for you. 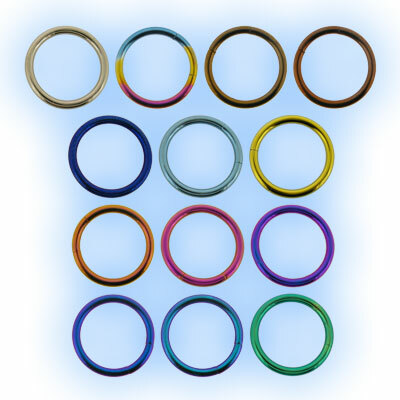 Smooth segment rings, sometimes known as Infinity rings, because they do not appear to have an end, are also a great choice. The normal ones work in the same way that Ball Closure Rings work but a little segment of the ring pops out to allow the jewellery to be fitted and the segment has little dimples either end to fit back in. 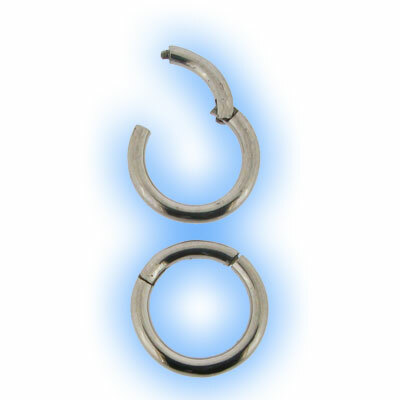 We now also have hinged segment rings where one end stays attached to the ring and the other end simply clips back together, these are very popular as they can be slightly easier and less fidly to fit. They are available in Titanium, Steel, Gold Plate and Black PVD, we also even have some unusual jewelled Segment rings, our full range is here. 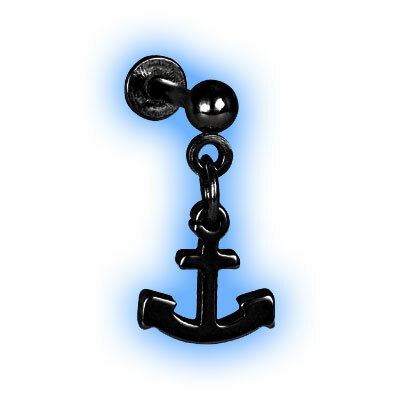 Straight Barbells come in a huge choice of material and with non jewelled or jewelled balls in different sizes there is a massive variety available to make your ear piercing really stand out. 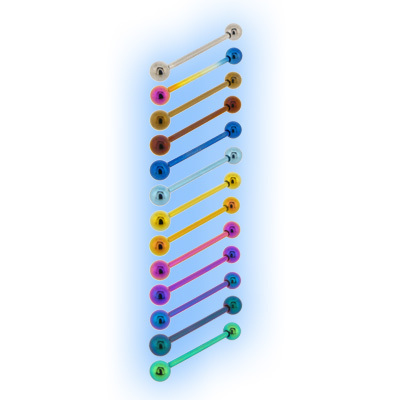 Again you can create your own barbell and have some fun choosing from Musical notes, feathers, angel wings, dice, cones, spikes and many more unusual designs as well as simply plain balls. 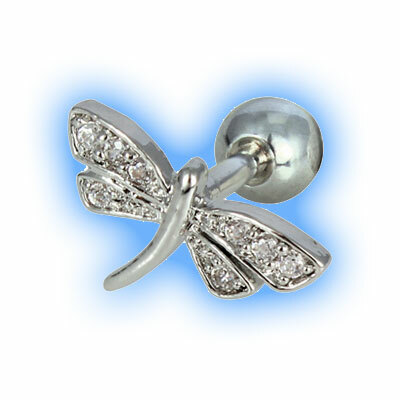 There are lots and lots of tragus studs already made and reay to go here including Butterflies, bows, anchors, dragonflies and screws so there really never has been more choice available for your tragus piercing. 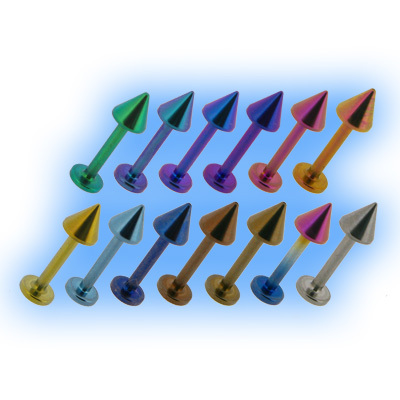 It is also worth considering a No Pull Piercing Disc if your tragus piercing (or most other piercings) are taking a while to heal or are uncomfortable. They are small clear discs that can be worn either side of the jewellery (both if necessary), they prevent the jewellery from pulling on the piercing and in some cases becomming embedded, they really do help your new tragus piercing to heal quickly and effectively. Of course there may also be times when you need to hide your tragus piercing, perhaps for school, work, a job interview or even a medical procedure where no metal can be worn. The most popular retainer that we have come across is the Bioflex Labret Retainer with a Clear or Flesh Tone Push in end, they have no metal content at all and are very effective at hiding piercings. We hope that this blog entry has been useful. If you have any queries or comments that you would like to add please contact us at sales@jobananas.com or call us and we will help in any way that we can.